Set contains 4-panel screen, a pad of character sheets, and a pad of Hermetic Traits forms. "Legends. They are tales of the past, done and gone, touching the world only in memory. The foolish scoff at legends, dismissing them out of hand. You, though of a young covenant, know better. You know the past forges the present. You know the past hints at the future. You know the legends of tomorrow will speak of today. You know those legends can be yours. 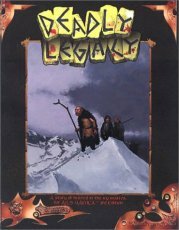 "Deadly Legacy is a story supplement that thrusts the characters of a young Spring covenant into the harsh and dangerous world of mundane legend and intrigue. Indeed, you are pitted against warring nobles, the Church, and foes beyond this mortal realm. Contend with all and garner vast power and trusted allies for the future. Fail your effort and newfound enemies will haunt you to the end of your numbered days." 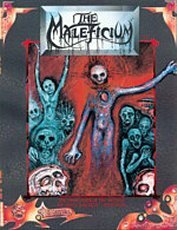 "The Maleficium of a sourcebook for the Ars Magica role playing game that explores the machinations and mystique of the Infernal Realm. 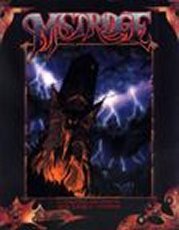 With this reference Storyguides and players may pierce netherworldly deceptions and secrets, bringing about confrontations with the Evil." "This supplement is the first in the Four Seasons Tetrology. In this series of tales, the characters and their vulnerable Spring covenant must persevere through apocalyptic war and delicate faerie intrigue to survive magical infancy. Only by succeeding in their efforts may the characters know the glory of Summer." "Mistridge provides all the information you need to be a storyguide or player in the Mistridge Covenant setting. 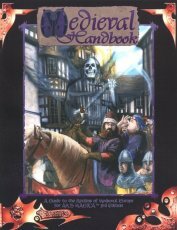 This book also offers extensive detail on Mythic Europe's Val du Bosque, and allows players the opportunity to create their own characters, or to assume the roles of vastly powerful wizards who have lorded over the covenant for centuries." 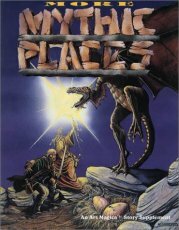 "This sourcebook provides five more unusual places to use as the basis for adventures in your Ars Magica saga. These locales are unique because they are composed of regio, levels of magical potence. Each level characterizes a single mythic place in a new way so that each place really has several natures, not just that apparent to the mortal world. Numerous story hooks also provide you with a wealth of applications for each locale." "Your covenant is one of power and authority, control and mastery. To reach this pinnacle you have seized the lands around you, dominating all their meek inhabitants. You are lord of all you survey. However, there is a much greater world beyond the not-so-far horizon, a world controlled by others beyond your so-called power, a world waiting to put you under its heel. That world is Mythic Europe, and you are but a spark of light before its ominous shadow. 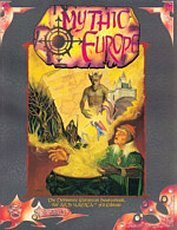 "Mythic Europe is a story supplement that presents the official setting of the Ars Magica game. It provides extensive and precise detail about the harsh medieval realms of your bold saga. It is of value to players and storyguides alike." 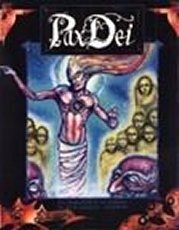 "Pax Dei is an Ars Magica sourcebook that invokes the glory and majesty of the Divine Realm in Mythic Europe. 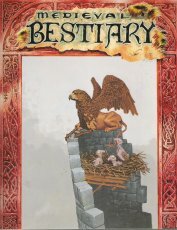 Player and storyguide alike are made privy to the Church's worldly designs, and are offered brilliant insight into the Reward itself. Not only may you pursue Divine will, but you may now reconcile your magic and piety to rise above even the Order of Hermes." Loose upon the winds of the tempest, astride his evil black steed, is a creature of the storm. It is said you can see him galloping upon the gray storm clouds, urging the winds to greater ferocity. When his anger is especially fierce, he descends to the earth to wreak havoc, leaving a trail of flaming hoofprints behind. Some say he was a man whose passion overcame him, others say that he is a foul demon, a Horseman of the Apocalypse. The Magus Grimgroth insists that he is an elemental, a magical incarnation of the storm itself. But whatever they think he is, they all know him as the Stormrider. * Complete rules for Elementals, including 16 different examples, such as the Storm Dragon and the Mud Hydra. * Eight pre-generated Characters, complete with detailed backgrounds and personalities. * Eight Briefing sheets, which explain the rules simply and succinctly. Your players only need to read these to play the game. * A 32 page Story, which meshes intimately with the characters in the same way your homemade adventures do. With this kit, you can begin your first session of Ars Magica in less than half an hour. Rules briefing and characters included on perforated sheets within." 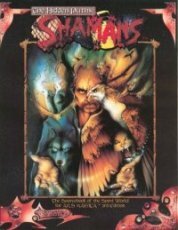 Rules for shamanistic magic. Note that White Wolf goofed, that this book shares an ISBN with Rite of Passage, a Werewolf: The Apocalypse sourcebook. "The Hidden Paths: Shamans, designed for use with Ars Magica Third Edition, explores Mythic Europe's mysterious tradition of shamanic magic. With this book you can become a mystical shaman, traveling the spirit world and bending its otherworldly inhabitants to your will. You can become a fierce shapechanger, gifted with the power to take wild form. This book immerses you in the ancient tribal cultures that forstered you, and warns you of the dangerous wizards who would steal your secrets...or your life!" "The written word is power, for through the word comes the name, and through the name comes mastery. If the written word is power, this tome is power incarnate, for here the names of magic are inscribed. In this tome the glorious Order of Hermes shares its profound wisdom, awesome magical creations and devastating spells, infusing their might into the page for all to read. Here is written the word of magic. Here is power for the taking. 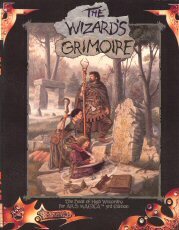 The Wizard's Grmoire™ is a magic supplement for the Ars Magica™ 3rd edition storytelling game. This much requested book, for both players and Storyguides, provides new laboratory rules, spells, magic items, vocations and wisdom for all Magus characters. Now you can be an alchemist, create a golem, find a faerie Familiar, redefine the power of your lab and cast never-before-seen spells of fury. This is the most important supplement in the Ars Magica™ series." "Trapped between harsh mountains and turbulent seas, the Hermetic Tribunal of Iberia is fated, nay, condemned to isolation. Here on the penninsula of future Spain, the order of Hermes has established itself amongst a resolute people who struggle against their imprisonment and against savage invaders who seek to conquer what little they have. 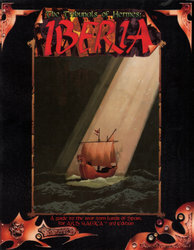 Even Iberia's magi contribute to her wars, fighting amongst themselves for magic, territory, and revenge. Here, in this bleak, war-torn land, you may find your destiny or your doom. "Tribunals of Hermes: Iberia provides extensive background into both the mundane and magical realms of Mythic Europe's Spanish penninsula. Not only do you get everything you need to tell stories here, but you may choose from several fully developed covenants, or may create your own home on this desperate, forlorn coast." "The birthplace of an Empire. The heart of Christendom. The nexus of the Order of Hermes. The Roman Tribunal is the most magnificent land in Mythic Europe — and utterly damned. 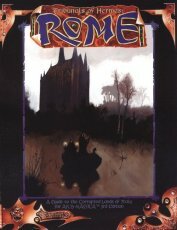 The powers of darkness corrupt Rome's people, taint its Church and stifle its magic. Here mortal fights mortal and magus fights magus, all for prizes long-forgotten. In a land of great marvels, the greatest is simply survival. "This book provides extensive detail on the magical and mundane realms of Mythic Europe's Italian peninsula. Here players and storyguides will find everything needed to create a saga in a land remembered for its glory, now renowned for its corruption." 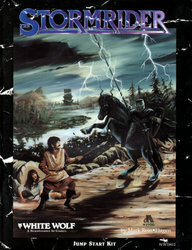 "This saga supplement is the fourth and final chapter in the Four Seasons Tetralogy. 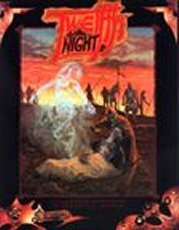 In this sprawling epic, characters and their decrepit Winter covenant must endure the wild machinations of mad wizards and the onslaught of righteous crusaders, only to face death itself. For without its demise the covenant cannot be reborn; without its death your covenant cannot return to Spring." "Houses of Hermes describes the twelve houses that compose the Order of Hermes, their origins, their histories, and their recent actions. 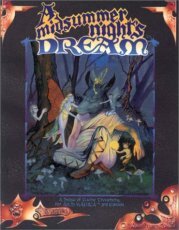 It provides important and dynamic information for players and storyguides alike, adding detail and drama to any Ars Magica saga." A plot connected to each house. Each plot is grand enough to serve as the focus of your troupe's saga. 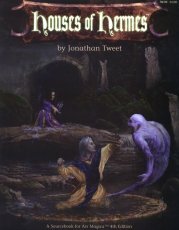 Story ideas for each house, for shorter-term play. These ideas bring the natures and styles of the various houses to life. Sample magi who can serve as the player characters' masters, as non-player character in your saga, or as models for mid-level magi. New spells and abilities representing the houses' differing specialties, including faerie magic and the special spells of the quaesitoris. An in-depth treatment of apprenticeship, from the apprentice's and master's points of view. A record of the Order's history, from ancient times to A.D. 1220, including the crises that have shaken the Order and the growing threat from mundane civilization. "Come to a land of hills and shadow, where faeries evil and benign daily touch the lives of the inhabitants. Here, near-immortal magicians change throughout the centuries into hideous monsters, and monoliths tell of ancient battles in tongues spoken only by a few shadowy magi. 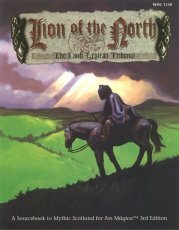 "Lion of the North includes everything you need to play individual stories or entire sagas set in Mythic Scotland. You'll find extensive historical background on the region, as well as new creatures, rules for new magi, and much more." "This is a sourcebook on Europe of the 13th century, the inspiration for fantasy literature and roleplaying games. This book is written in the hand of a monk, Peter of Aalen, offering his perspective on the society and culture of the Middle Ages. This information is invaluable to your fantasy world, no matter what game you play, for it infuses brilliant color and rich texture into your tales. Particularly valuable to players of Ars Magica, this book presents the Hermetic perspective on Mythic Europe's society and culture." "There is a world that underlies Mythic Europe, a world of perfect beauty, living light, and dark horror - the world of the faeries. 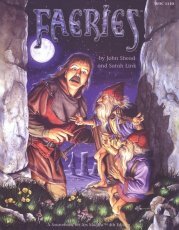 Follow the part-faerie troubadour Gerin as he pursues the faerie queen who stole his infant sister. 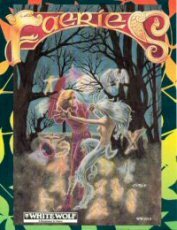 Read first-hand accounts of faerie encounteres, given by wizards and peasants, holy men and diabolists. And learn the ways of prudent courtesy on which the lives of visitors depend in the faerie lands of Arcadia, a place where light and dark are directions as well as qualities, and where creativity can transform the very substance of reality." 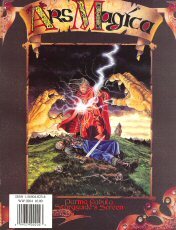 Atlas Games owns copyright (and holds trademark to) Ars Magica in all forms.